baseballhalochampion has no other items for sale. 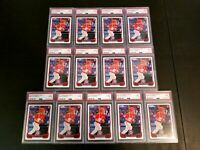 2012 Topps Chrome ZACK COZART AUTOGRAPH/AUTO REFRACTOR LOT LA ANGELS, REDS LOT! !